It's only 5:30 AM. It's cold, windy and dark. I was walking behind our local guide along with Carlita, a German backpacker. The guide soon exclaimed "Eto na! This is it!". We made it to the top of Mt. Pulag. The rest of our group was somewhere lagging behind. From our vantage point at 2,922 meters above sea level, we could see a long trail of headlamps headed our way - pretty much everyone else who woke up in the pre-dawn darkness just to get to the summit in time for sunrise. For a few minutes, the three of us enjoyed solitude as the first to make it up there. Soon that will change. The night before, Miguel reminded us of our early start at 4:30 AM. It may be tad too early for me but Miguel must have a reason for such an early rise. A shot of whiskey helped in warming me up and getting me to sleep. I was concerned that with so many hikers staying at Camp 2, there would be some noise issue. Just within a few feet from me were dozens of other tents. Thankfully everyone was quiet by 9 PM. Cocooned in my toasty sleeping bag, it didn't take long before I was in dreamland. By the time I heard Miguel's voice again, he was waking me up. I was shivering as I got out from my tent. Talk about temperature hovering only at 5 degrees Celsius! Very much like New York winter weather. Everyone else in my group was up and ready, wearing jackets, gloves, bonnets and head lamps. A local guide was leading us. Miguel and his sidekick Agot was staying behind to prepare breakfast. We were the first group to leave camp, moving in single file in the darkness. Up above us was an inky black sky glittering with stars that will soon get outshone by a rising sun. The trek to the top from Camp 2 is about 2 kilometers, taking about an hour and a half. In the darkness the surrounding beauty can't yet be appreciated thus only increasing my excitement for what lay ahead. The trail is so well-established it didn't even bother me walking with just headlamps illuminating the path. I adopted the fast pace of both our lead guide and Carlita that in just an hour, the three of us reached the peak. We sat surrounded by a cluster of dwarf bamboo, effectively shielding us from the bone-chilling winds while waiting for the rest to arrive. Just past 6 AM, Mt. 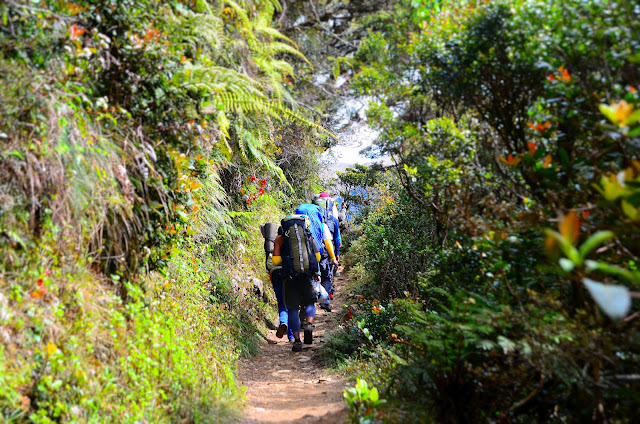 Pulag's summit was abuzz with hikers, all in various states of camera frenzy. Many were pleading for their "best Facebook profile picture" - or something that would tell their online friends they made it this far and this high. Unfortunately, what was supposedly a grand sunrise turned out to be a dud since high altitude clouds now covered the eastern sky. The so-called "sea of clouds" - a tsunami of whiteness hugging the lower peaks - also did not materialize. But I was still happy. This has been a dream ever since I climbed Mt. Apo. What makes Mt. 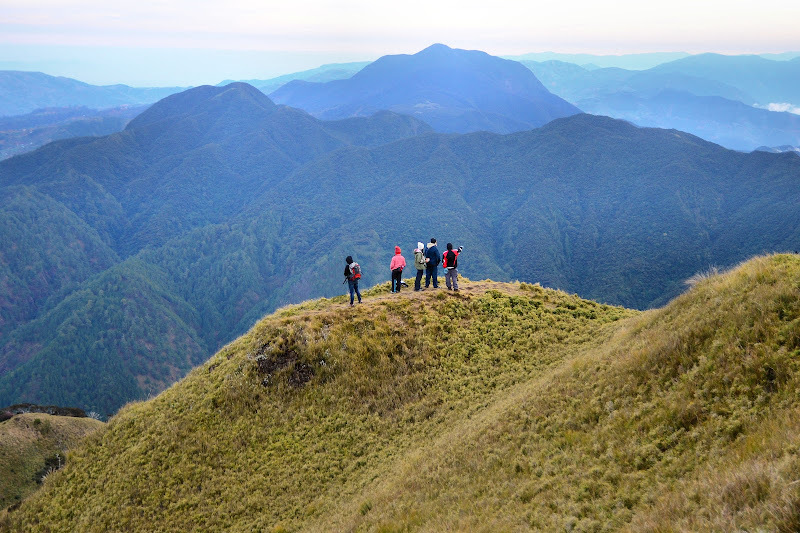 Pulag's summit really unique is its grassland features. Without towering trees, we got unimpeded views of several mountains on the massive Cordillera range. The lead guide started enumerating to me the various peaks visible from up there including the highest section of the infamous Halsema Highway (road leading to Sagada/Bontoc up north). We could even see Camp 2 where we came from and another campsite used on the more challenging Akiki trail. The views were priceless and no photos could ever justify them. Our guide motioned our time was up and we needed to go down. Breakfast was waiting. It took us half the time going up to get down. Back at Camp 2, Miguel and Agot served us a mean breakfast of Purefoods hotdogs (how I miss them! ), meat loaf, fried eggplant and fried rice. Now fully refueled, we broke up camp, shoved back our tents and sleeping bags into our backpacks, and prepared ourselves for the descent back into Babadak Ranger Station. It was a smooth, uneventful hike all the way down. Our jeepney was waiting, ready to send us back to Baguio. That for me and some other crazies in our group meant one thing: another chance for a top-load ride! 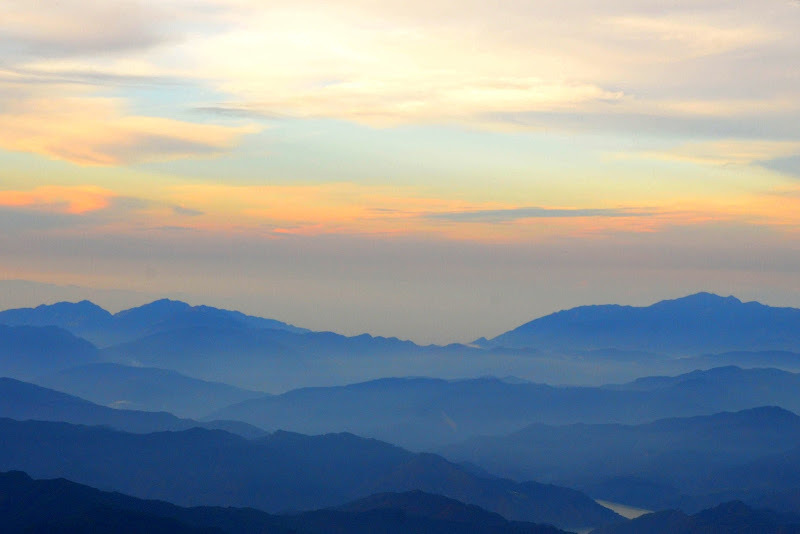 The silhouette of mountains and the colors of the morning sky - breathtaking as always. I don't know if I'll climb Mt. Pulag in this lifetime, thanks a lot for sharing this very beautiful photos. Why not climb it Rizalenio? Pulag via Ambangeg trail is very easy, in fact any reasonably fit person can make it there. With plenty of outfitters offering hiking trips, you've got plenty of choices as well (if you don't want the planning & logistics involved). top-load ride ulit pabalik? amazing! 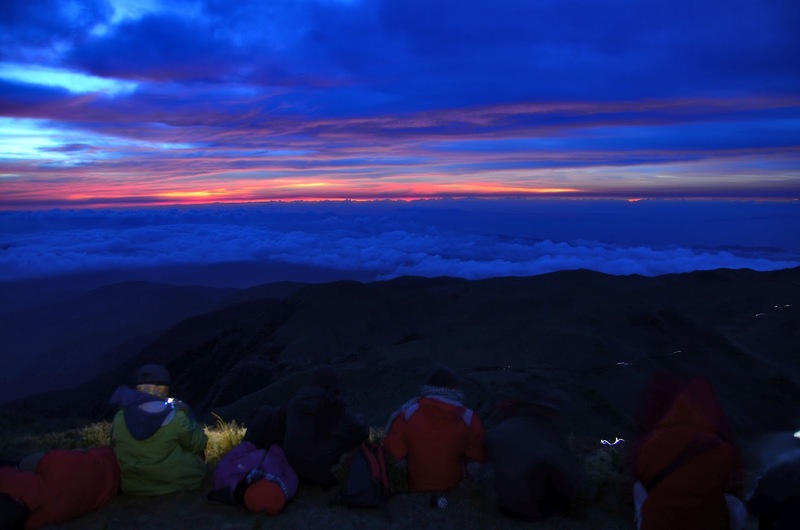 congratulations for making it to the summit before daybreak! the photos, as usual are incredibly fantastic! and i envy you for sampling PF hotdogs in pinas! I just couldn't get enough of the marvelous views while top-loading Doc! The limited visibility inside a moving jeepney is a turn-off. And that rush of fresh air is just different! I can't find Purefoods in NYC, hanggang copycats na lang like etong binibenta sa Fil-Am stores called 'Martin Purefoods'. I've been following your blogs for almost a month now. 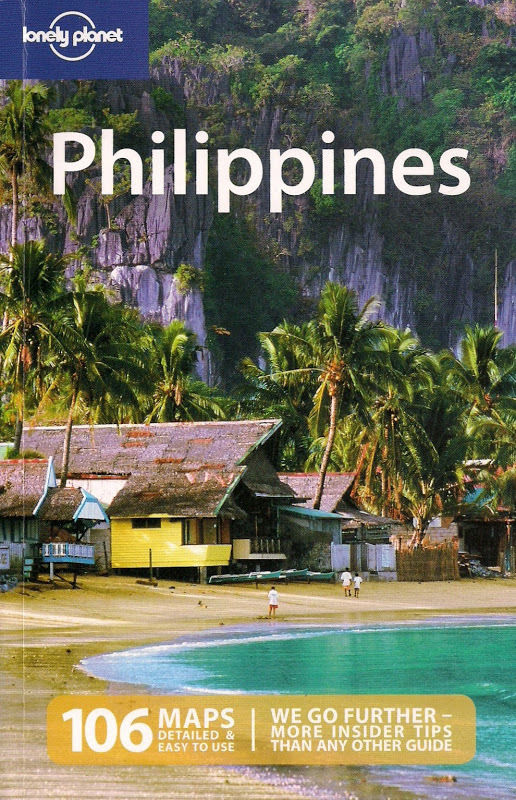 Stumbled it through Pinay Travel Junkie. So proud to all pinoy backtravels out there. Im so jealous. Keep up the good work. Thanks for visiting! My wanderlust is not certainly fading so expect more travels - though I hope you'll do the same! congratulations - another ticked off the bucket list, eh? Yes Maria, another one off my bucket list so I'm so happy :) My FB profile pic is actually the same as the one here! Hi Dennis, been following your blog for a bit. I'm new to travel blogging world and I love learning from other travel blogs. I was from the Philippines myself and is based in NYC. Love this particular post. I'd love to do this adventure next time I visit Phils. How far is this from Baguio? How did you sign up for a guide? Is there a website where i can sign up for a group trek? Thanks for visiting Marisol! Mt. 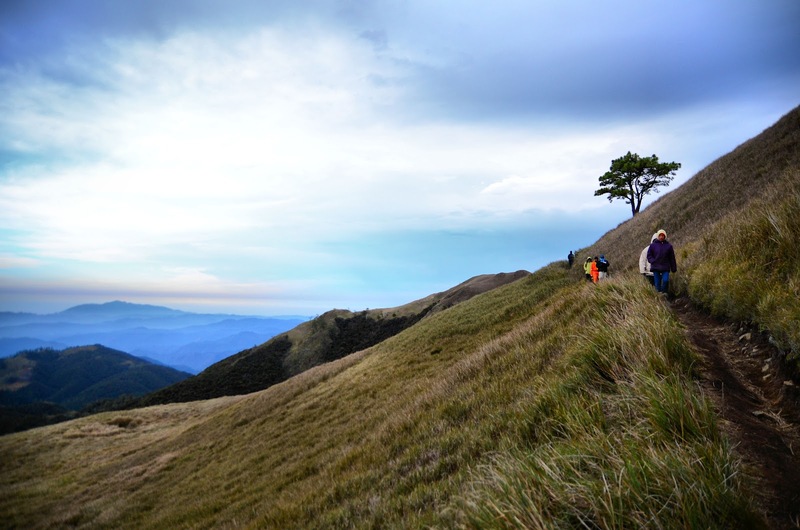 Pulag is highly recommended for mountain lovers. As I've mentioned in a previous post, I joined Yabag on this hike and it's actually worth it given that I had no time to plan it myself. Thanks for the info Dennis. Just bookmarked Yabag. kahit anong angle ang ganda talaga sa pulag. great set. Salamat Dom. I'm glad to see you and Chyng took part in a really great project! Great pics! I hope my aging legs are still game for a long climb such as this one. Otherwise, I'll just enjoy the trek through your camera.